Google+ has it. Facebook has it. Even Spotify and Evernote have it. "It" is the hidden sidebar, and that subtle if over-repeated interface has spread to Google's mobile home page. Visit from an iOS or Android device and the front end will resemble the desktop web version, but with a sidebar that exposes Google's services in a more elegant way than the top bar we've had to use before. The redesign isn't showing for everyone as of this writing, so don't be disappointed if Google's new drive towards interface consistency isn't available yet. Just know that there's one less refuge from the trendiest input metaphor of 2012. 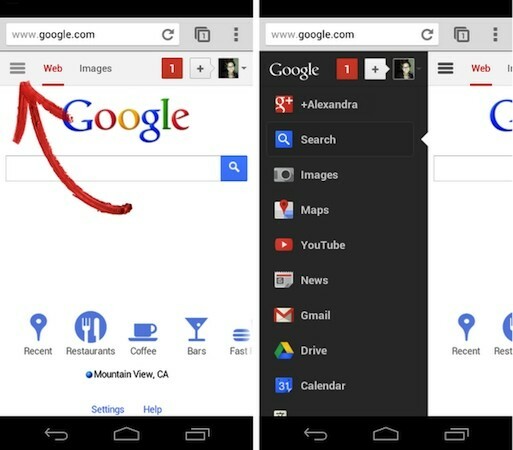 Google mobile web revamp brings hidden sidebar, feels all too familiar originally appeared on Engadget on Wed, 10 Oct 2012 20:46:00 EDT. Please see our terms for use of feeds.